LNA defined the difference between an “addressable market” and the specific “market demand” for the prospective Boeing NMA here. “If you take at face value 5,000 aircraft and divide by two, you get a reason answer about the demand, plus or minus 500 aircraft,” Goodhead said. Goodhead, however, declined to identify the aircraft in the addressable market. “To do so also tells you about your strategy about what you are thinking. There is no good answer for engine manufacturers to get caught in the middle of that. Most companies surveyed, and LNA’s own analysis, sees a market demand for the NMA (as opposed to the “addressable” market) as 2,000-2,500. If some people are saying 2K and others 4K with no overlap, I’m skeptical of those ranges. In context of about 20 year engine life, the NG and A320ceo sold about 7K each, the 777W about 1K, the A330 about 1.2K. So what are the projections for the MAX, A320neo, 787, A350, A330neo, or 777x? Wikipedia has a list of the top 100 worlds busiest passenger routes- we are talking 2.3 mill to 13 mill passengers. Surprisingly the top 95 or so are within 3000km distance. Could there be 150-180 routes within 3000km AND 2 mill passengers per year. All those routes could be ‘addressable’ by a NMA type aircraft. Some might be morning and evening peaks only , other routes would be most of the flights. Agree, the bread and butter is in the less than 4000Nm routes, will be difficult to beat the hypothetical A321XLR and/or A322 on such routes especially with wing and aero tweaks and possible engine PIP’s (PW-GTF). However if Boeing and the engine manufacturer’s does a good job with an NMA with an ~230-250 seat (typical 2 class) aircraft with a max range (with that number of passengers) of around 4500-5000Nm it could have a strong advantage when used on shorter (2-5 hour) routes where fast boarding and de-planing as well as onboard service, cabin refresh, etc. times are important. Wing design and engine optimization for the NMA/797 will be interesting to see, will it be for routes of less than 3000Nm or more? A quick calculation of 2017 pax column divided by 365 to get pax per day divided by a nominal 4 flights per day divided by 200 pax per flight (doable with A321neo) totalled up comes to around 1200 aircraft. Question how many flights a day would a 797 need to do to be economically viable ? As the 797 will seat more pax, you would need fewer aircraft, so could you even support a flight frequency of 4 flights a day ? Could you make a 797 pay on these routes ? As all the above routes are well within the capability of aircraft with less range than a possible 797 (longest flight in the chart is around 3000 nmi). Why would you use a 797 on these routes other than for peak times (SAA do use A330 on the JNB-CPT route for instance). Are these the routes that BA is looking at for the 797 ? I can’t see how they can create a 797 that is significantly cheaper to operate on these routes than existing SA aircraft. Should we be looking at routes that are more suited to 767 operations ? Perhaps something that spans 3600-5600 nmi and 210-300 pax. I suspect LNA is probably closer to the mark at 2300 than BA at 5000, but possibly RR are looking at 2300 797 and 1700 A322/other. I think you need to check your math. Consider just the LEAST busy route on the list of “Top 100 Busiest Air Routes”, i.e. Kuching to Kuala Lumpur, for which the number of passengers in 2017 is listed as 2,341,291. Assuming the number of passengers to be both for directions, one gets the following. 2,341,291 passengers both ways in 2017= 2,341,291 /2 = 1,170,645 passengers each way in 2017. 1,170,645 passengers each way / 365 days per year = 3207 passengers each way per day . 3207 passengers each way per day / 4 flights per day = 802 passengers. On the least busy of the routes, an 800 seat aircraft would be required to provide enough seats per day with four flights per day. 3207 passengers each way per day / 200 seats per flight = 16 flights. On the least busy of the routes, providing enough seats per day with a 200 seat aircraft would require 16 flights per day. The reference that Wikipedia cites for their table, indicates that in 2017 there were 16,960 Kuching to Kuala Lumpur flights, or an average of 16,960/365 = 46.5 per day. Apparently the present average aircraft size is much less than 200 seats. According the above discussed list of 100 busiest air routes per day, Atlanta to Fort Lauderdale was the 98th busiest air route in 2017, with 2,360,786 passengers and 15,858 flights in 2017. I just checked Expedia for non-stop flights from Atlanta to Fort Lauderdale a week from the day I am writing this, i.e. on 2-1-19. Here is what I found. Breakdown by airline and aircraft type. Domestic 757-200: 199 seats per flight, 10 flights, total 1990 seats. A321: 192 seats per flight, 4 flights, total 768 seats. A319: 145 seats per flight, 4 flights, total 580 seats. A320: 150 seats per flight, 2 flights, total seats = 300. Total Non-Stop Seats, All Airlines, ATL to FLL on 2-1-19. Delta Share = 2758/4048 = 0.681 or 68.1 percent. Spirit Share = 990/4048 = 0.245 or 24.5 percent. Jet Blue Share = 300/4048 = .074 or 7.4 percent. Flights per year at 22 flights per day: 22 x 365 = 8030, about half the the number of flights that the busiest flights table lists for 2017. Passengers per year at 4048 passengers per day: 4048 x 365 = 1,447,520, about 61 percent of the number of passengers that the busiest flights table lists for 2017. The above numbers make sense if the passenger and flight entries for each route in the busiest routes table are for traffic in both directions on the route, in which case one would expect passengers and flights in one direction to be about half of the passengers and flights listed in the busiest flights table. Jak Dak – 4 flights a day with 200 seat aircraft will not come anywhere close to providing enough seats for even the least busy routes in the 100 busiest routes table. What I was trying to look at is not the aircraft currently used on these routes, but if you were to try to substitute them for 797 aircraft. So move the same number of pax each day using 797 aircraft, the 4 flights a day was per aircraft, and just a guess at how many return journeys you could get an aircraft to do in a day given the distance, and turnaround time. The example “3207 passengers each way per day / 200 seats per flight = 16 flights.” does mean 16 flights, but that’s only 4 aircraft required if you fly the aircraft 4 times in the day, so 8 aircraft in total for each way. The idea was to look at replacing all of the aircraft on all of those routes with 797, just how many aircraft would be required ? My upper estimate was around 1200. In the real world much smaller aircraft are used, hence using the A321 as an example (200 pax), where in fact much smaller aircraft are used, more frequently, as shown by the 46.5 per day figure. My conclusion is that other than peak times where you might use a larger aircraft, you would use 737, A320, A220, and smaller, therefore these routes are not really suited to very large numbers of 797 i.e. the 797 must be targeted at other routes because the volume of 797 that would potentially be used on these routes is well below the 1200 that you’d need if you substituted all the flights on these routes for 200 pax aircraft. Does that make more sense ? I’m trying to figure out where the real market for the 797 is. Thank you for your polite explanation of my misunderstanding of your post. I think this conclusion may vary by airline and route. In my real world Atlanta to Fort Lauderdale example above, Jet Blue with 2 flights on A320’s per day, could easily increase capacity by adding flights with A320’s if gates and ground crew were available, or by up gauging its existing two flights per day from A320’s to A321’s. Spirit, with four A319 flights, one A320 flight, and one A321 flight from ATL to FLL per day, could add capacity by up gauging existing A319 or A320 flights to A321’s, or if it has underutilized gates and ground crew available, could probably find some good times to add flights. Foe Delta, which already has 14 flights a day with 192 and 199 seat aircraft, with, literally, departures every hour on the hour from 7 AM to 3 PM, what are the options if they wish to increase capacity on this route? More than 14 flights a day? AM departures more frequently than one per hour? Or switch to a larger aircraft? Is there any conceivable reason they would want to switch from A321’s and 757-200’s to smaller aircraft? Remember that Delta is an airline that is bragging to investors how it will be making more money by replacing 149 seat MD88’s with 180 seat 737-900ER’s and 192 seat A321’s. “Q: But if you get bigger does it actually do much for your cost structure or is it more profitable…? experience at the same time. For those not familiar with the Southeast US, the straight line distance from Atlanta to Fort Lauderdale, the route that I used in my example above, is 582 statue miles according to both the Expedia reservations page and the WebFlyer mileage calculator. In view of the fact that Delta operates 14 daily non-stops on this route with 192 seat (A321 ceo) and 199 seat aircraft (757-200), perhaps one should not assume that long range or transatlantic flights are the only market for 200 seat aircraft or upgauge replacements for 200 seat aircraft? Hello AP, thanks for the real world described lower down. Just a question, are the DAL gates used for this route all C-gates of do they also use D-gates? The “797” wing could be interesting. Will it be say 42m with folding wing tips to fit C-gates, or conventional CAT-D somewhere between 36m and 52m or have a really long span (52+m) with folding tips to fit D-gates. To keep things simple and costs low I think most likely a conventional CAT-D wing and possibly a relatively “simple” up sized CFM/LEAP type engine. In my view they should also keep the fuselage shape relatively simple, the jury out construction materials. Believe the NMA should be a reliable, cost efficient work horse that could do short hops to 5000Nm longer haul missions. I don’t know the exact breakdown of Delta’s nine gates at Fort Lauderdale, or the exact gates typically used by the A321’s and 757’s that Delta uses between ATL and FLL; however, the Delta Fort Lauderdale terminal dates to the era when medium range domestic routes were commonly operated by wide body aircraft, something that I suspect we may see returning with the advent of the 797, so I suspect that 767 sized gates wouldn’t be a problem there. I also don’t think that 767 sized gates would be a problem at Delta’ Atlanta megahub; however, system wide, at US airports that didn’t have mainline medium range service in the 1980’s and 1990’s, or that were been extensively modernized in the 2000 to 2010 era of US airline bankruptcies and down gauging, and in terminals never used by the US big three or their predecessors, lack of 767 sized gates for a 767 sized 797 could be a problem. By my eyeball estimate. Delta’s nine gate Terminal 2 in Fort Lauderdale could simultaneously accommodate any of the following combinations of aircraft. Six 767’s plus two narrowbody aircraft. Four 767’s plus five narrow body aircraft. I think that the only way that the 5000 airframes happens is if the medium range and transcontinental routes that were flown by L1011’s, DC-10’s, and 767’s in the 1980’s and 1990’s, then downgauged from aging widebodies to 737’s and A32X’s in the era of plummeting traffic, airline bankruptcies and downgauging from 9-11 to 2010, start to revert back to wide body routes. In the US, one can, I believe, already see the beginnings of this at Delta and United, while at American business and traffic has, quite sadly, apparently not recovered enough to require anything more than 102 seat premium configuration A321’s on transcontinental routes. Below are some examples of aircraft usage from LAX to JFK before and after the great airline recession of 2001 to 2010. Listed below are American’s weekday flights from LAX to JFK from the 7-2-2001 schedule at the link after the flight list. 767-300: 4 flights (probably about 230 seats back then?). Average seats per flight probably about 2,932/15 = 195?. American Airlines Flights from LAX to JFK on 2-4-19, according to Expedia. A321 Premium Transcon Configuration (102 seats): 11 flights. Delta Airlines Flights from LAX to JFK on 2-4-19, according to Expedia and Delta.com. A330-300: (293 seats): 2 flights. A330-200: (234 seats): 1 flight. 767-300ER Configuration V2 (226 seats): 1 flight. 767-300ER: Configuration T (208 seats): 1 flight. 757-200 Premium Transcon configuration (168 seats): 3 flights. I just found some 1990’s era American Airlines seat maps, and these suggest that my guesses for total seats on American’s 757’s and 767’s in July 2001 probably weren’t too far off. For 767-300’s, I guessed 230 seats. The August 1995 AA 767-300ER seat map at the link below shows a total of 215 seats, not too much different from the total seating capacity of 209 that American currently has installed on its 767-300ER’s (the current configuration has 28 lie flat seats). For 767-200’s, I guessed 184 seats. The AA 767-200 seat map from October 1992 at the first link below shows a total of 204 seats in a non-premium configuration (2-2-2 first class); however, I suspect that the 767-200’s that AA would have been using from LAX to JFK in 2001 would have had a premium layout like the one from 1987 at the second link below (2-1-2 First Class), which shows a total of 184 seats. According to the February 2012 post at this link, in 2012 AA was operating 767-200’s between LAX and JFK in a 168 seat premium configuration. For 757-200’s I guessed 180 total seats. In July 2001, American and TWA had recently merged, and in the July 2001 schedule that I referenced all the LAX to JFK 757-200 flights have TWA flight numbers. The TWA 757-200 seat map at the link below from November 1997, shows a total of 180 seats in an non-premium configuration. I just realized that I completely misunderstood you statement about ” a nominal 4 flights per day divided by 200 pax per flight”. I misread this as you saying that a 200 seat aircraft making four flights per day would on average provide enough seats to service any one of the 100 busiest routes, where upon re-reading you statement. I see that you were clearly saying something completely different, i.e. that a fleet of 1200 aircraft with 200 seats, each making an average of 4 flights per day, would be about what would be needed to service these routes, with each route requiring multiple aircraft. Now that I have re-read your statement I pretty much agree with your numbers. Robert, I wasn’t clear enough with what I was trying to say. Undoubtedly a 797 would be useful for some of these routes particularly at peak times, but the idea was that that these routes are well served with existing aircraft, so the 797 must be targeted at other routes. What are these routes though, and what number of airframes are required to serve them ? There is a gap in the infographic to be filled by a NMA / MOM, but is the gap there for a reason, or is it down to the fact that no one has built an aircraft that fits the gap (build it, and they will come) ? I can understand RR wants to sell an Ultrafan, and better to start at modest power, gain experience, and then scale it up, or maybe they just want to get it on the NMA as the only engine option, and then scale it DOWN for use on A322, and NSA ? That would make a lot of sense ! Play the long game RR. Volume is where you make money. If I were BA, I’d go for a 4500 – 6500 nmi 200 – 280 pax light weight new engine airframe, leave the lower end to the A321 / A322, and then get on with a NSA to replace everything from A220 – A322. If I were AB, A320+ 4 rows, A322, A220-500 stop gap while you get on with clean sheet NSA ranging from A220 all the way to A322 using folding wings, Ultrafan etc…, again volume, volume, volume. Interesting spin from RR, guess its how you define the market. Aircraft requirements in the 220-280 seat market most likely around 5000-6000 but this could include aircraft such as a hypothetical A322 with 3500Nm range to 789 with 8000Nm range and all others in between sharing this (s)pot? In future the CR929 could also compete in the upper end of this market (the T7000 is a contending engine for the CR929). Yes, RR might get their engine on Airbus’s counter to the Boeing proposal as well, get a tilt at the whole market! I also think the core of that Engine can be found on an A322, that will increase the installed Engine base between 30-50% and thus allow RR to lowball thier 797 Engine prices. Airbus response to the 797 cannot look much different than a rewinged-reengined stretch A321 (a.k. A322) hence Airbus waiting and hoping to make something cheaper and quicker might be in vain and they just loose time as their top managers want to know exactly what they are competing against and might know after Paris Air show when Boeing announces 1500 orders for the 797 unless Airbus acts quickly and carefully listen to Udvar Hazy and Delta Air Lines. There are place for an A321 XLR and A322, but its not an MoM aircraft, they could be good large single aisle aircraft at the lower end of that market. A combination of 787 and 797 could effectively remove Airbus from the 240-300 seat twin aisle/wide body market. The 330-900 is an under valued aircraft and hence airlines prefer the 789, the 338 has grown into a niche 250 seat long range aircraft but you can’t panel beat it into an MoM. So if AB wants to stay in the 240-300 seat wide body market the will have to make a plan, so the Cat-and-Mouse waiting game around BA’s NMA. Can see Boeing’s marketing (with good reason) for the NMA, twin aisle comfort, quick turn around on the ground, modern (the A320’s first flight Feb 1987, that’s 32 years ago). To an outsider — MoM’ster = Range. Currently we have a binary market. Procure and finance 50T of OEW = 4000NM nominal range. Need to fly 4001NM then you need to procure and finance 125T of OEW. Legacy B757 / B767 have covered this gap to some extent but LR passenger focused routes are now really coming to the fore and new products with new technology are needed to drive this market shift through to conclusion. New SA product is reaching out to beyond 4500 NM nominal and then some probably in the near future. New MD / medium duty TA product — aka the B797 — could take the range figure out to 5000 NM nominal by 2026. A32X Plus @ 110T MTOW should get the SA product out to 5000 NM nominal and then something extra. A possible 90T OEW A300 Mk2.5 will take the figure out to 6000 NM. MoM = range not real estate. Warning that is Big Auto trying to get his head around Big Aero. It depends on how good and reliable the 797 becomes. If the seat mile cost becomes much higher than a A321/A322 but lower than a A330/787 it has a niche market, if it is equal or better than the A321/A322 it will can be a huge success and replace the A321/757/767 fleets. That is hard to do on a widebody Composite Aircraft. I really can’t see how BA can make money from a totally new frame in the NMA segment when the A321 derivatives are already in existence and capable of being quickly and [relatively] inexpensively expanded [XLR/322/Plus]. You MUST factor in overruns, delays, ramp-ups/ramp-up costs, cheap-initial pricing, engine anxiety, into any real new product production as lessons are not seemingly learned [and every time a new product is proposed… a new ‘low risk’ method of production is created which turns out to be insane]. Will they do it… of course… they must or they must leave the segment untouched. More deferred costs I guess. Wonder will that accounting method ever come back to bite them. Seems ‘dubious’ [in the way Bear Stern/Lehman Bros. was]… Debt that’s there but… not there. Well we see the 787 beating out the A330NEO because they are willing to sell it for less and make more. No different than if you priced the first car off the line at what it cost to develop and make the care. Call it 200 million. No one is going to buy it. The next one is 100 million, no one is going to guy it. How far down do you get before you hit say $25,000 and people do buy it? First 787 would have cost 34 billion. Right, no one is going to buy it. 797 first one if all goes well is going to cost 15 billion. They will sell it at 90 million and you will have buyers. B787 vs A330 argument does not offer any pointers to a potential B797 vs A32X match up. B787 is hype and marketing over reality. It was sold as 8 wide and bought at 9. It will go the way of the B707 and B727. BA will flood the market and move on. No eulogies will be made when it dies. It will have done its job and BA will bank the money. B797 vs A32X — now — is a catchweight contest. It is Design vs Development. Leading edge tech vs parts bin rummaging. Wimpy TA vs Battle hardened SA. If the A321 wins again it gets to keep the BA middleweight division. First B757, then B737 Large and finally B797 !!??!! The B797 is hitting the MoM’ster market with new tech, a new fuselage CS / style, a new business plan and a new engine. A321 is shaping up to hit 101T MTOW / 4500 plus NM nominal range. A32X Plus is shaping to hit 110T MTOW / 5000 plus NM nominal range. A32X Plus Plus is in the market for 130T MTOW if the right engine is available. A326 Super Duper Sixty has a sweet spot at 150T MTOW. Real estate for 240 seat 3 class cabin out to 5500 NM nominal. BA shows its hand — AB then dusts down its plans as appropriate. Interesting perspective Duke (100 citypairs). That’s where capacity probably weighs in heavy. On NMA market size, I guess the market definition determines it. If Airbus launches a mass produced CASM king up to 3000NM, 4-5 seat rows more than A321, they could swipe the bottom from the NMA segment. Everybody seems to understand, including Boeing, so lets wait & see what they come up with. With 20 year single aisle production nearing 28K, everybody seems to understand that this is a reserve to permanently borrow on for A322/NMA upguaging. With 757/767 replacement and untapped midmarket growth potential, plenty of room for two entrants. A combined scenario might be A320/737 24K, A322/NMA 8K. The midmarket is the final frontier. The most important thing for me that AB could do in the short term (2019) is to launch an A320Plus. A simple stretch to accommodate 4 (1/2F & 3/2Y) more seat rows (~20 pax) in typical 36″/32″ layout. MTOW could be maintained at current levels thus maintaining the same landing gear and engines, it could however also tap into the current A321’s components such as landing gear to increase MLW, etc. Wing tweaks could make up for additional drag/wetted area, range around 3000Nm more than adequate? A future XR model with 3500-3800NM range could use updates from an A321XLR if there is an requirement. An A320+ will be “cheap” and quick, the MAX8 is outselling the 320NEO, this might just put pressure on Boeing’s “Golden Goose” forcing lower prices for the 738 and eventually force BA to increase prices of the 787 to maintain profit levels and so opening a hole in the door for the 330NEO’s? The 321XLR and/or A322 with MTOW of 100+T will require more extensive wing work, landing gear mods, possible higher thrust requirements. They do however have time to do this as the NMA is far on the horizon. But, the MAX8 is happening right now, see there are ~3100 B737-800’s that’s between 5 and 15 years old, many of those still need replacement orders, an A320+ might just scavenge a significant portion of those. Anton, are you talking about an A320 stretch or another stretch going bigger from the A321neo? Airbus should try to built a longer A321neo, stretching the existing 44,5m fuselage as close to 50m as possible (B757-200: 47,5m -300 54,5m, A332/8: 59m). In a one class layout the A321 has 230 max. seats, usually way less. For a stretch A322 you would gain a 250 pax aircraft, this would be MOM per definition. In a A321 LR with a real C, you propably talk about way less seats, maybe not even 200. You need full flat C seats, maybe ending up with 180 seats total. A322 would give the chance to bring it up to 200 pax with reasonable comfort and space while operating still on SA cost base. This would be a real danger for the potential B797, (planed with 225 and 265 pax) if Airbus can get the range. Airbus would propably need to twerk the wing, get more wingspan and more fuel in, needs a higher MTOW, certainly this is not an easy job and might not be possible with reasonable effort. If Airbus could stretch the A321 once more to about 48-49m and give it a A322 and A322 LR, Boeings B797- 6x would have had an almost direct competitor. So far, A321 lr is way smaller then the 225 pax Boeing is planing with. It’s simplay a different thing to fly 180 or 225 pax across. If Airbus can do it, maybe they coudl get this done in 3-4 years. This would be 2023/24 and earlier than a B797 could fly. Agree an A321+ (A322) is required but I see the very short term priority as an ~20 seat stretch of the 320NEO. The MAX8 is actually outselling the 320NEO, also a large percentage of 737-800’s still require replacement orders. The 737-8 and hypothetical 320+ market bigger than an 500-1000 aircraft market at the lower end of the NMA market in which the A322 and/or A321XLR will partake. I see the 320+ as of immediate short term high importance. Then I’m not with you. The stretch of the A320 is the A321. The A320neo has 3312 orders, the Max8 has 2654. I can’t see it beeing outsold. The A321neo is in a somewhat 1000 range, while Max 9 and 10 are far behind. Overall Neo vs Max is somewhat a 60-40 market share. Your opinion is perceived, as Airbus simply does not have slots. And big Boeing customers have ordered. Southwest will not change to A320, nor will Ryanair, but it has bought Laudamotion and builts an Airbus fleet. I’m 100% sure Airbus won’t work on another version in between A320 and A321, no niche there, but they are thinking about another stretch of the A321 which is needed but questionable. Average revenue speculation points to the A320 selling for $2-3mill real less than the Max8. The A320 NG needs to make that product space it’s own — consequently a 1.7m stretch should be on the agenda. Must admit even as an AB “fan boy” that the looks of the “797” excites me, hopefully they don’t put 17″ seats on it, but most likely. For AB to stay in the wide body market they will have to build something between the 787 and 797. Maybe a “base” model with ~260 seats, 2-4-2 (17.5 to 18″ seats- 21″ aisles), 5500Nm, 55Klb engines, good belly space, etc. The key components will be a very good engine/s (GTF/Ultra-Fan) and super efficient wing, CAT-D (~50m). Doesn’t have to be a huge money spinner but keep current Airbus operators in the family. Not going to dot down all the numbers but if you take (A321+A350)/2=MoM you get some very interesting numbers. BA should do a pure competitor to the A321XLR. The stretch it twice and this is your NMA category. Well BA seems to think otherwise. So far in life what I think has little to nothing to do with what they do. Agreed, clearly RR wants in on this party. Long term, I tend to think the 797 has a long life and better than the experts on the lower end and not as high as the upper figure Boeing and RR list (and as noted, that has a fudge in it as its not defined). Call it 3000-3500. That is the life of the program. If a 787 looks to sell no less than 2500-3500 (my opinion of course) in its lifetime, then the 797 should match it. The only reason not higher could be a tech breaker like a TBW type. Boeing could contract a sole source engine for a given number of frames, then open it up to other engine options once they hit that number in five or ten years. Hedge in case proposed engine technology does come to market at that time. Never done that yet. Don’t see it now. Either two engine ala 787 or one. Just crossing my mind, could BA launch the smaller “797-6” with a reworked CFM and say 3 years or so later the larger “797-7” with a higher thrust PW-GTF and/or RR-X? Boeing will not choose RR for the NMA because Boeing wants to minimise risk and putting a brand-new Ultrafan that nobody has seen running yet is a risk too far. The big strategic danger for Boeing is that they commit to a long-term single-source agreement with GE/CFM, using the old B1 bomber engine (well, architecure anyway – it’s been developed rather a lot since the 1980’s) and then RR produce an Ultrafan which is much better, has 21st century architecture and lots of growth potential and Airbus put it on an NMA competitor. Which would cut off NMA sales just as they were getting into their stride. Boeing must be having nightmares about that. And right now Boeing has to decide where to put its engine choice(s). With an all new aircraft, two options is the better bet. RR has a poor recent track record. The Ten has impacted Boeing and you can figure they are not impressed. PW has had issues but working those out and understands the GTF far better than anyone else. GE may be working its way to P&W drop off of the last 30 years. Or does RR knows AB is working on an “NMA” of its own replacing 330’s to a large extent and they will be part of that market? They supply the T7000 to the 330NEO, Tens to the 787 and potentially T7000 (variant) to an CR929, so definitely part of the 240-300 seat market. Such aircraft could have around 240-260 seats, 5-6K Nm, and 280-300 seats, 4-5K Nm, 50-60Klb ultra fans, I doubt it but you never know. Could be available 3 years after the “797” (2028). Between 2008 and 2018 ~880 A332/3’s delivered with replacements starting in 2028. There were also ~800 B787’s delivered until 2018, these will need replacement in 20 years from now? The A321XLR and A322 doing the battle at the lower end and 359 at the upper end, the 338/9’s are there for those that want it. Surely AB would have to respond somewhere in this segment if and when the NMA is launched. The A322 is an irritant to the programme but with NMA and B787 Boeing would have an immensely powerful, possibly impregnable position in small and medium widebodies. The A322 simply gives AB a bit of breathing space. Note once the NMA decision is out of the way then the inexorable move to NSA is likely to begin. Boeing let the A321 market go for a long time. Airbus is making more and more A321. It might be a case of Airbus saves money up, lets Boeing go. Boeing will have 8 years before they start to make money. Its all a judgement call on what you can get, what it costs, can you match it or can you compete in part of it with an upgrade? Unfortunately you are likely 90+% right. Can see 2019-2020 years of consolidation for Airbus (and RR). Maybe Paris 2021 a big year for them? In the mean time flying of 737-800’s and 330-200’s good and A220 desert if it fits the schedule. Question from a non Avation person. On these various engine options for a given airframe, how much variation on the pylon attachment? Is it a standard pylon for all types, that can attach all engine options, plug and play if you like pc’s, or is it unique for each engine type? I can appreciate that the optimum solution is an unique pylon for each engine type for weight , different engine architecture etc. Just interested in how different the pylons are between options. The only one that is plug and play is the 787, I don’t know about Pylon (I believe the Python is unique but both RR and GE attach the aircraft the same and connections are the same. Others no, they can be switched but at such cost not done. Have not heard of anyone switching engines on the 787 either. Leasors were the target but its still an issue and you then have excess engines so the cost is high until you move the old ones. With RRs troubles if it worked you might see it happen. So far not. Likely if anyone switches they will do so if they order new aircraft. Perhaps a unique example but the first 777 flew with P&W engines in 1994, but when it was sold into airline use in 2000 ( cathay pacific) it had Rolls Royce. As for the 787 interchange , the structural connection to each engine is unique, so the pylon goes with the engine if its changed. As I understand it, each engine before the 787 was unique to the mount on the wing. Ergo to change was a serious undertaking as the pylons were unique and how they interfaced was. The 737 has been unique in one engine. All others offered three until 787. The 747 flew with 3, 757, 767, A330. So a 787 swap is easy, but not done yet as far as I know. The 777 is sort of split , the big selling 300ER/200LR/200F ( essentially much the same HGW) is GE only , while all the other models have 3 choices. The A350 and A330 neo is only one engine manufacturer. But maybe the A350 will change to 2 ? Dang I got that wrong, 757 was only two, brain zark. I think Airbus is locked in to A350 with a single engine choice agreement with RR. Even if possible I don’t see GE or PW doing that as the choice is locked in at this late date and market share would be severely limited and not worth a program. No debate regarding the need for RR UK to become more than one club golfer in the civil market — plus it needs to close some of the gaps in its global offering. Not being involved in the high volume mainstream SA marketplace — B737 / A320 — has been a huge failure for the company. No matter its success in the TA product space the volume is in the SA market. Work your way down gradually or kick in the SA doors and put a new 30K lbs thrust engine right into the middle of the game? Might be too much too soon. The gradual approach might be better. Consequently any offering for the MoM’ster / B797 is a step in the right direction. The next step is the scale of the offering and the first tranche of variants. 45K lbs thrust = middle of the middle? 52K lbs thrust = top of the B797 range? 38K lbs thrust = A32X revamp up to 110T MTOW? Interesting if either of the SA power plants can make 40K lbs thrust without a total and expensive re-vamp? SA mainstream = 150 units per month soon? TA mainstream = 30 units per month very soon? B797 / MoM’ster = 20 units per month to wash its face? If BA make it too small it runs into the mountain that is SA production efficiency. Make it too big and it kills the B787 stone dead in 2029. All the pointers suggest the world’s wimpiest TA is the way forward. RR better make sure that their parametric design model has flex on the smaller side. Pratt also offered its PW6000 series for the A318. 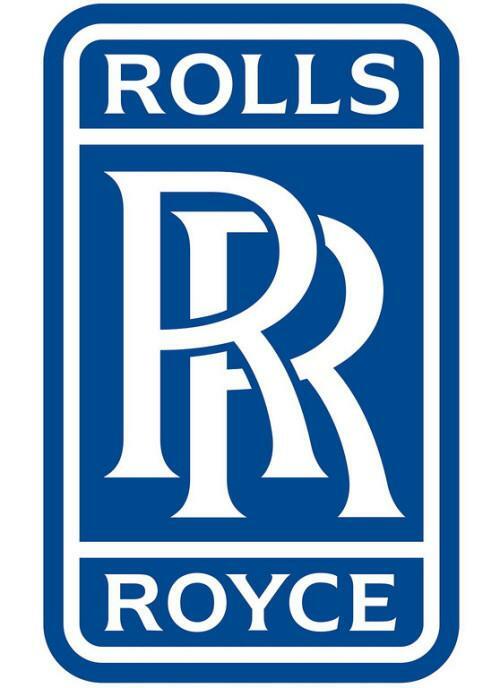 Rolls sold its IAE equity to R&W in 2012 for $1.5 bill plus payments for each hour flown by V2500’s. V2500 is still a small proportion of the market. RR continues to dabble in Business Jet engines as well. But if there is a GTF solution out there is P_&W who now know what it takes to make it work and the next steps to efficiency that are not based off modeling or test types. Boeing is going to look at the track record and make a decision. P&W has relationships with both and hard telling which might prove better. The V2500 is history regarding Big Aero. RR has never filled the gap after it walked out. It gave up its OEM position to become a Tier 1 supplier. Huge volumes now on offer in the high volume A32X / B737 SA product space and RR is not in that game. The MoM’ster offers a chance to get back in that battle with a staged approach starting at the top end and working its way down. The B797 is a clean game as none of the Big 3 have a leading edge product in that thrust category — gossip suggests 45K lbs thrust to 52K lbs output. Consequently if RR is going to make a move this would be a good start. It has some gearbox tech it wants to introduce and the timings make sense. All the Big 3 do not have their troubles to seek at the moment so the old certainties are up for grabs. One thing specific to RR is that if the MD MoM’ster product space takes of it will take business from the HD TA sector that currently defines the company. The risks of a new engine are huge but the risks of doing nothing are even bigger. I think Airbus will respond to NMA by rewinging the A321 then stretching it by 4-5 rows, but shrinking it by 2-3 rows to cover 170-240 seats. They will then do the A220-500 to cover 110-160 seats. I would prefer Airbus to do an all new A321, but can’t have everything. It is not necessary given Boeing’s conservative approach to product development after the 787 cost them $50billion. Both the A220 and the rewinged A321 will have Ultrafan. The German government spent a fortune setting up RR Germany. One way or another, Ultrafan will go on at least one Airbus airplane. Yes, PW have exclusivity on the A220 provided Airbus didn’t/don’t change the situation when ownership transfers. But they will want competition on the A220-500 for it is an A320 replacement. Boeing are risk adverse because of the cost of developing the 787, so I think they will choose CFM for the NMA. Indeed, I don’t think the NMA will be much to write home about for Boeing are having difficulty with everything. Could be another error in what is becoming an increasingly longer list of errors. A rewinged A321 with Ultrafan will be more than a match for NMA and a better fit. I think NMA is too big at 220-270 seats. Airbus can afford to wait and see. The total for the 787 was right around 33 Billion, not 50. The A220 is not going to get a new engine, PW has it and they will continue to develop it and increase its efficiency. RR is not going to bring out a whole new engine that has a smattering of a market share. They have to push for the 797 or they revert to what P&W did when their engines fell out of favor post 757/767. Add development costs of circa $18billion to the deferred costs of the 787. I think in the end it will be the biggest loss by far of any new product developments. Airbus don’t like exclusivity. If GE/PW would match the Trent XWB then Airbus would say yes. Ultrafan is reported to be at least 10% better and perhaps as much as 15% better than Leap/GTF. It going to become a dog fight. Adding the A220-500 and a rewinged A321 or even better a new A321? Then we come to the 2022 version of the A350 for Qantas project sunrise followed by an A350neo? Well my view is Airbus will win handsdown. In other words, no contest. Boeing need to throw down the gauntlet. Specifically, a smaller NMA in the 180-240 seat world that is state-of-art, meaning 25% better than an A321. And help Embraer do a 160 seater to match the A220. Which is a more efficient design for 160 seats, a 5x or a 6x? Considering surface area of the fuselage, frontal area, seat to aisle ratio, cargo volume, rotation angle, I wonder which is better choice. Will Boeing/Embraer develop a new single aisle at 5x, or stick with the tried and true 6x. 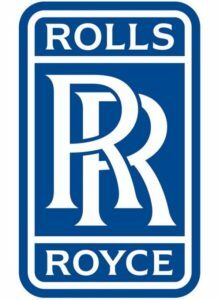 Rollls Royce was actually ‘big’ in small engines in the early jet years, being sole on the 2 main early shorter range small SAs (Caravelle & One-Eleven). What they couldn’t do was get a break with US manufacturers, most importantly Boeing going JT8D for the 727 (despite the Spey being the much newer, lighter design). Thanks AP, no space to directly respond. As said as an Airbus “fanboy” but also an aircraft junkie and starting to get excited by the NMA possibilities, especially as a peoples mover on routes less than 3000Nm on high density routes. My view is to see it as twin aisle 737-800/MAX8 equivalent work horse, but wearing an AB cap will be nice to to see something good (twin aisle) from them with EIS around 3 years or so after the “797”. I like the Aircraft Junkie. Good aircraft from anyone are just too cool. Funny I worked with a guy lo many years ago, his favorite saying was do as I say, not as I do. All those memories about irresponsible peasants who should pull themselves up by their bootstraps while they wait cup in hand for government handouts has made that a complete joke. Many, including me, is looking at the relative efficiencies of an 2-3-2 twin aisle vs 3-3 SA from floor space utilization, to drag, etc. But for many airlines the profits often comes from the front, single aisles have limited options. With an 7 abreast TA you can have 2-2-2 E+/Premium (what a pleasure) and in F 1-2-1 which will be comfortable and good use of floor space and good bang for your buck. If you consider that many airlines are often using 1-2-1 in the the front for Business on 8/9 abreast twins, an 7 abreast TA is starting to become a no-brainer for an NMA for effective utilization of “real estate” (as FBoT likes to call it) as a total package? Even if the E seats are 17″ as long as the middle seat is 18-19″ (and 21″ aisles at the back). Never flown with Southwest but with there reported drive for turn around times was wondering if they are/will be looking at the 797? How much will production increase from 2020 to 2040? At 3.5% growth, a quantity will double every twenty years. A320 production in 2000 was about 250, which would yield 500 in 2020, but it has exceeded that growth rate. That is why I’m optimistic for the 797 in the period 2026 to 2046, because of the overall demand for ever increasing numbers of aircraft. As proposed (5000nm/250 – 300 pax) the B797 offers two advantages. Firstly, the area it covers is 50% greater than a 4000nm aircraft, opening up a lot more point-point routes without commiting to a much more expensive and heavier long haul aircraft. This will create demand above and beyond the aircraft needed to serve existing routes. Secondly, the same plane can be used on short fat routes, giving better utilization of scarce slots and pilots than a single aisle. I can see a B797 being operated on the short fat routes during the day, and the longer routes overnight. Boeing bet on more point to point routes with the B787 and haven’t been disappointed.